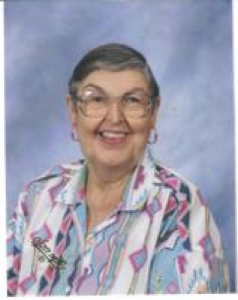 Betty J. Sproat, 73, formerly of Sidney, Ohio died at her residence in Winter Garden, Florida on Sunday, October 12, 2008 at 3:54 PM. She was born March 4, 1935 in Goodspring, Tennessee the daughter of James Edward and Eva (Carr) Woodard and they are deceased. She moved to Sidney in the 1950&#39;s from Goodspring, Tennessee. She married Edward B. Sproat in 1955 and he died in 1993. Surviving are two sons, Gregory A. Sproat of Winter Garden, Florida and Steven R. Sproat and his wife Della R. Mees of Sidney, Ohio; three grandchildren and two great-grandchildren; two sisters, Anna Neth and Linda Neth of Sidney, Ohio and one brother, Wayne Woodard of Lorain, Ohio. She graduated from high school in Minor Hill, Tennessee. She was a past member of the Port Jefferson Church of Christ in Port Jefferson, Ohio and was currently a member of the Church of Christ of West Orange in Winter Garden, Florida. She had been a nurse at Wilson Memorial Hospital at one time and then was the first meter maid for the City of Sidney starting in 1965 and was later employed as a dispatcher for the City of Sidney police department until 1979. Funeral services will be held on Tuesday, October 21, 2008 at 2:00 PM at Salm-McGill and Tangeman Funeral Home in Sidney, Ohio with Pastor Herb Carter. Burial will be at Graceland Cemetery, Sidney. Friends may call at Salm-McGill and Tangeman Funeral Home in Sidney on Monday, October 20, 2008 from 4-7 PM. Memorial contributions may be made to Steven R. Sproat, 911 Hayes St., Sidney, Ohio 45365.